No-one can deny that Liverpool’s maritime history has defined the city. Not only did Liverpool play a significant role in the Second World War, but its transatlantic liners and docks resulted in a diverse culture that has shaped our society. 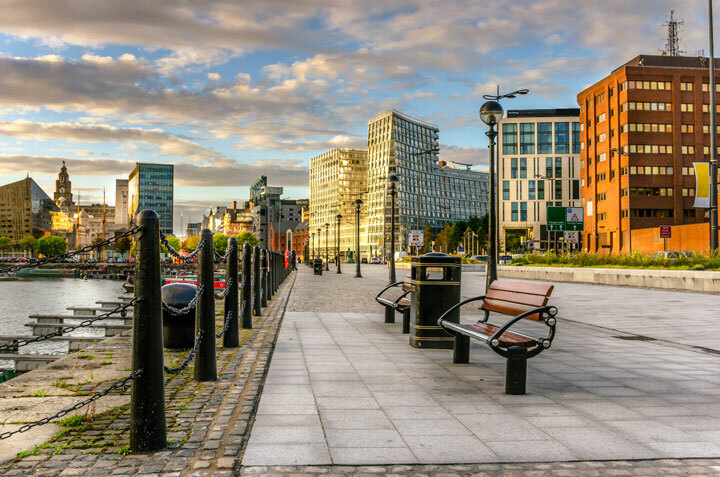 The city was a pioneer in the development of modern dock technology, and our transatlantic trade once influenced the world, at a time when Liverpool was viewed as the home to one of the most major ports. 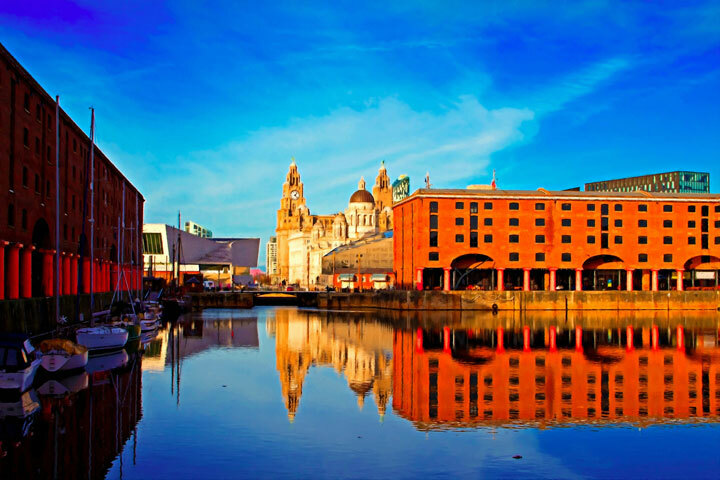 As a result, UNESCO awarded the city with World Heritage status, with six areas in the historic centre and docklands forming the Maritime Mercantile City of Liverpool, which stretches from the Albert Dock, along the Pier Head and up to the Stanley Dock. However, the very thing that has propelled our city to great heights may also be thwarting our future success, I, like every Liverpudlian, am very proud of the city I call my home. Yet I find myself in a quandary, because whilst I will happily shout from the rooftops about Liverpool’s UNESCO World Heritage status, I am very much aware it is this accolade that is holding our city back. If anyone regularly reads my blogs or one of my interviews in the media will know, I care about our city’s architecture. I encourage the city to grow exponentially in different areas, because I truly believe Liverpool is one of the greatest cities on Earth – and with further investment and development it can become the greatest. Sadly, our UNESCO World Heritage status is stifling that growth. Investors across the globe are banging on the city’s door to create further opportunities for the city – but we’re having to close it firmly shut because of the restrictions imposed by our UNESCO World Heritage status. I’m not the only one who believes the city could fare better without our UNESCO World Heritage status. Professor Michael Parkinson from Liverpool John Moores University told The Guardian, “Without a doubt, it is a very good thing to have World Heritage status and I’m sure it’s helpful in sharpening the city’s image, but we cannot be preserved in aspic and we have to have development”. According to Marco D’Eramo, an Italian journalist at the architecture and design magazine Domus, UNESCO World Heritage status stifles cities’ development. More than 1,000 cultural and natural sites across the globe are now designated as World Heritage Sites – and cities around the world are vying to receive the prestigious status. Dubai is a perfect example of how cities are doing their utmost to receive World Heritage status, as it is currently reconstructing an historic quarter to ensure their revised bid to the World Heritage Committee is successful. A fair share of UK cities are also hoping to gain UNESCO World Heritage status, with Blackpool, Lincoln and York all hoping to join the revised tentative list. Why do they want UNESCO World Heritage status? To improve their tourism and economy. Well, I want to prove to you that the status will not benefit every city in the UK, which I will do so through examples and statistics. While I do not refute that the status can increase some cities’ tourism, I do believe the accolade is not right for every city, especially in the UK. 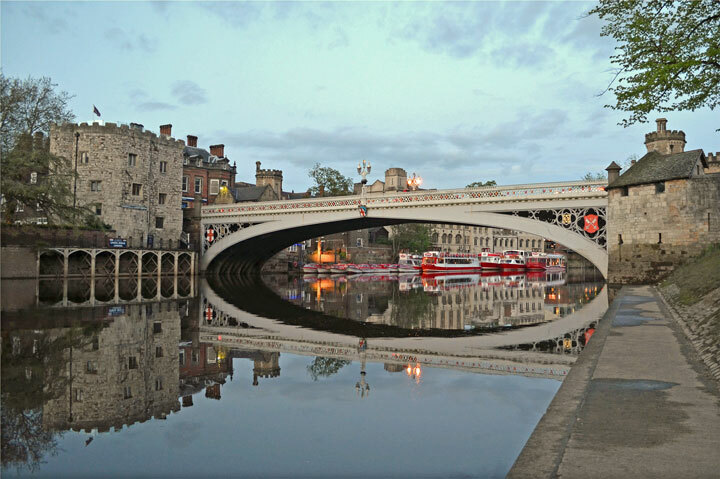 For example, York and Oxford are popular tourist attractions in their own right, and do not necessarily depend on the award for tourism. Bath is an example of how the UNESCO World Heritage status can hold a city back. Back in 1987, the city of Bath was inscribed as a World Heritage Site, in order to preserve the city’s natural cultural heritage. 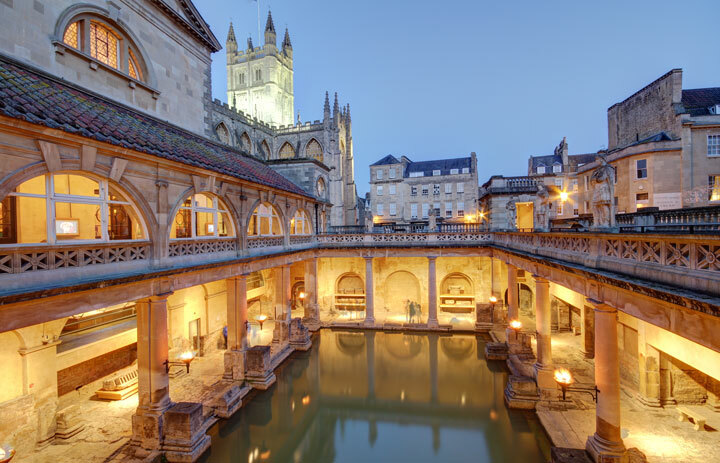 For those who are unaware, Bath was first established as a spa town by the Romans circa AD 60, and received the Latin name Aquae Sulis. It quickly became a popular spa town during the Georgian era, resulting in significant expansion that left a heritage of Georgian architecture built from Bath stone. However, the city was nearly stripped of its World Heritage status in 2009, when the Western Riverside development threatened to drop the city from UNESCO’s list of 890 sites. Following an inspection from the UN, Bath was able to keep its status, despite the introduction of a 118-acre site that features housing, office space and shops and includes nine-storey buildings. So what impact would the loss of the WHS title have on Bath? Well, that impact is seemingly unclear. According to Economic Development Appraisal (2010) by Dr. Aylin Orbasli from Oxford Brookes University, “it is not clear whether tourists visiting the city are aware that Bath is a WHS” (Dr. Aylin Orbasli, 2010: 9) , and so it is unquantifiable to determine whether the £195 million tourism revenue is a result of the accolade, “as Bath, regardless of its WHS status, was and continues to be a popular tourist destination” (Dr. Aylin Orbasli, 2010: 12). After all, most tourists visiting the city are aware of Bath’s attractions, such as the Roman Baths. In fact, www.visitbath.co.uk does not feature the WHS emblem on its homepage as “Bath is already a recognised destination and ‘brand’ and additional WHS branding is not seen to be necessary” (Bath Tourism Plus, interview May 2010). It’s not just Bath whose UNESCO World Heritage status has been thrown into doubt. 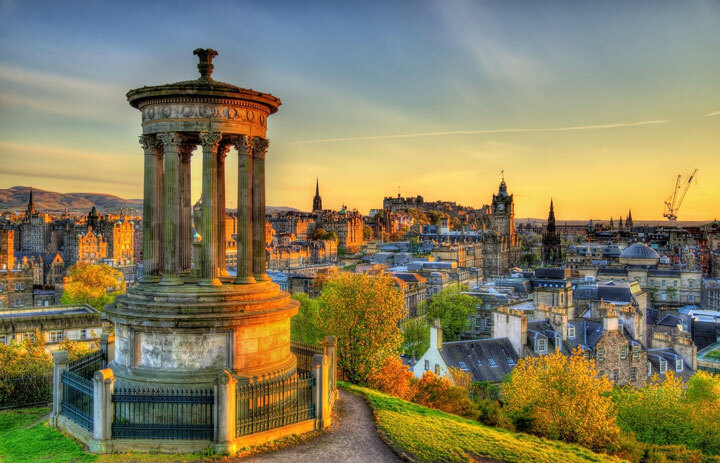 New developments currently taking place across Edinburgh has resulted in demands for an urgent overhaul into the protection of the Old and New towns. UNESCO advisers have singled-out seven new development projects to-date following a visit in autumn 2015, whilst other development projects are believed to be on UNESCO’s radar. As a result, UNESCO has warned the UK they may potentially launch an investigation into the developments due to a substantial number of modern buildings and developments being erected across the city. Similar to Liverpool, Edinburgh is attempting to offer modern commercial quarters and improved public transport services to improve the city and residents’ way of life; however, the Old and New Towns are now under close scrutiny, with UNESCO warning there is an ongoing threat to Edinburgh’s World Heritage Status. Despite a different landscape and history, Liverpool and Edinburgh are similar in more ways than one. Both cities offer beautiful architecture, a rich heritage and famous landmarks that make them popular across the world, yet both want to offer new and exciting developments to compete with neighbouring cities. Both cities have a decision to make: to flourish or to freeze. It may come as no surprise to learn that Liverpool was placed on the World Heritage in Danger List in 2012, following major developments planned for the city. The city was placed on the list due to the proposed £5.5bn Liverpool Waters scheme that was set to cover the waterfront and city centre. However, the development will propel the city’s economy and employment rate, creating 20,000 jobs, 9,000 apartments and hundreds of offices, bars, hotels and a cruise terminal. Liverpool Waters has caused much concern for UNESCO, as the project will see the construction of several tall buildings, including a 55-storey tower. However, the properties will serve both the city’s skyline and its residents – whilst rejecting the development will have no benefit to the city or its locals. I would not be surprised, or unhappy, if one day Liverpool followed in the footsteps of Dresden in Germany, which had its World Heritage status withdrawn in 2009. The city’s authorities deemed a bridge connecting two sides of the city more vital than an accolade they received five years earlier. As a result, Dresden became the second city to be removed from the World Heritage Site list, after Oman was the first to be delisted after the government reduced the Arabian Oryx Sanctuary by 90%, following the discovery of oil. Believing the €182 million bridge would irreparably tarnish the Dresden Elbe Valley landscape, the World Heritage Committee made the bold decision to remove it from the list, commenting the bridge was “a national disgrace”. Disgrace or not, the Waldschlösschen Bridge has reduced traffic congestion and improved the way of life for many residents – who, after all, have to live in the city every single day. In fact, local newspaper Sächische Zeiutung conducted a poll and found most Dresden locals were happy to replace the status with a bridge. A bridge that two-thirds of the city’s voters had approved plans for nearly a decade ago. 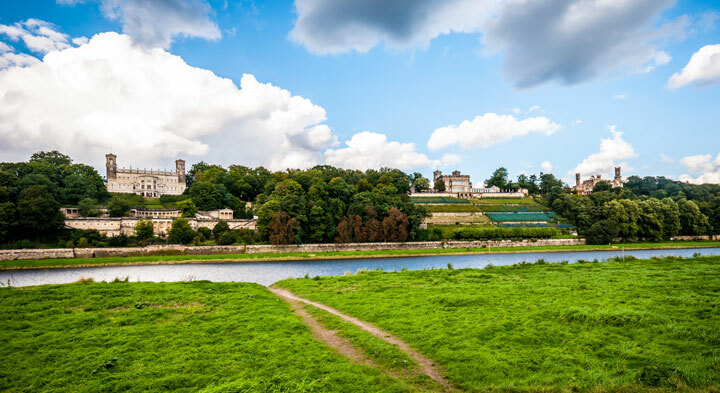 Whilst Dresden may have lost their World Heritage status, the Dresden Elbe Valley remains as beautiful as ever. During the opening ceremony of the bridge, Mayor Helma Orosz stated: “The loss of World Heritage status has, whatever one’s attitude is to the bridge, hurt all of us. Even after the completion of the bridge, Dresden’s Elbe Valley is worthy of World Heritage status”. So, how did the World Heritage loss affect the city’s economy? Well, it didn’t really affect the city at all. Despite a predicted loss in tourism revenue, like a phoenix rising from the ashes, Dresden reported a record year in 2010 – as the city’s tourism grew by 7% in 2010. UNESCO want to freeze cities in time, in the hope of lovingly preserving history and landscapes; however, the UN body must realise that cities are filled with people who actually live there – and their views count just as much as the city’s history, if not more. There is no doubt in my mind that Dresden residents never wanted to lose their UNESCO World Heritage status – but the bridge was essential to their everyday lives, and that trumped any accolade – which is why 65,000 Dresdeners turned out to celebrate the opening of the bridge, which overlooks their beautiful – historic – skyline. 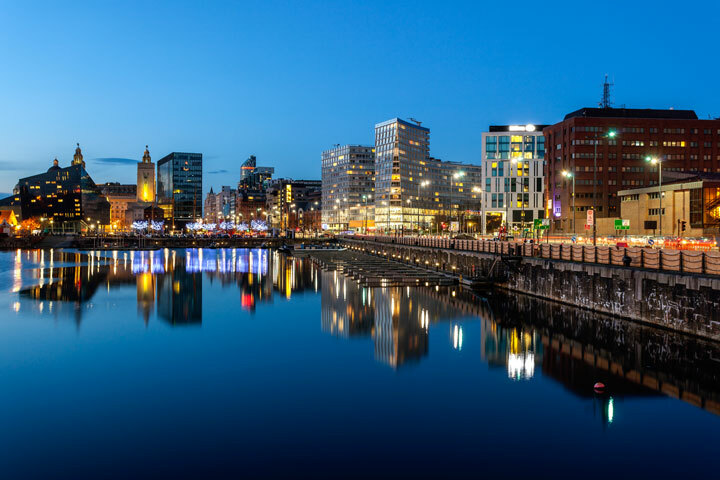 Liverpool has received an influx in visitors recently, as the city has received a number of high-profile awards, including UNESCO City of Music status. The Beatles Story on the Albert Dock also received the ‘Best Attraction in the North & Scotland’ at the Worldwide Attraction Awards. 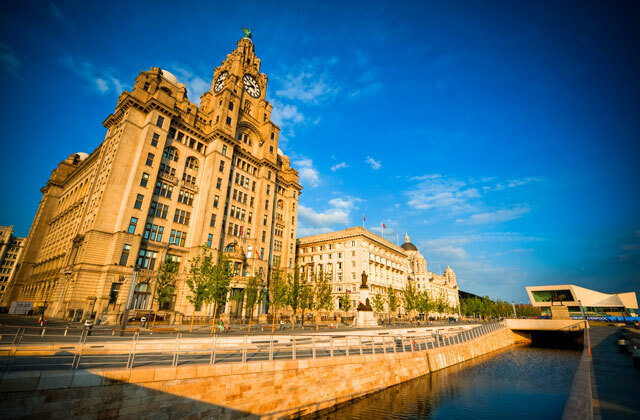 That’s in addition to the Liverpool Waterfront being voted ‘England’s Greatest Place’ by the Royal Town Planning Institute, and being hailed ‘Best Destination’ at the National Coach Tourism Awards and the British Youth Tourism Awards in 2015. 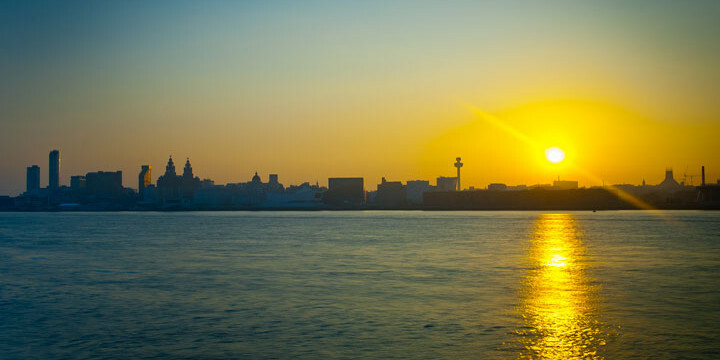 Oh, and the Liverpool Waterfront and Crosby have also been named two of the ‘Best Places to Live in Britain’ by The Sunday Times. The city’s population is also on the rise – which is a testament to our growing economy, as our reputation is attracting worldwide investors. But the city is capable of so much more – but we need the means to do so, and that could mean losing our UNESCO World Heritage status. 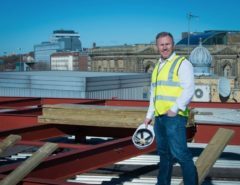 As I recently told the Liverpool Echo: “We have an extremely strong market in the city right now. I would certainly bet everything I have got over the next two years on it being stable and growing. In terms of property values, we are getting the benefit of Manchester, which is steaming ahead in terms of what it is building. More than all the cities in the UK put together apart from London. In 2007, The Department for Culture, Media and Sport released a full report on The Costs and Benefits of World Heritage Site Status in the UK. The aim of the report was to identify the direct costs and benefits associated with World Heritage Site status. The proposed benefits include an increase in tourism, partnerships, funding, civic pride, regeneration, social capital, education and learning. However, there are a multitude of costs associated with World Heritage status, including the cost or preparing for a nomination, continual costs of World Heritage Site management, marketing and infrastructure provision costs, and opportunity costs associated with development control and congestion. The report therefore identified that the average cost for preparing a UK nomination dossier in 2007 was £462,000, which includes staff costs, document preparation, required studies and management plans. According to the report, a World Heritage Site with a dedicated WHS coordinator, such as Bath and Liverpool, would have an estimated annual cost of £130,000 – £215,000 per year to manage the World Heritage Site. While the report believes the World Heritage Site status “is what you make of it”, the study also stated “overall it is unclear whether the level of marketing undertaken by each site has any significant effect on its tourism numbers” and that it is “not clear what effect this can be expected to have on individual sites” (PwC, 2007: 7). That’s a significant amount of money for Local Authorities to pay each year for uncertain economic and tourism benefits, whilst supporting new developments across our city will boost the local economy, tourism and employment. Liverpool is growing. The aim of the city is to grow significantly to rival the likes of Manchester and Leeds in terms of revenue and tourism. 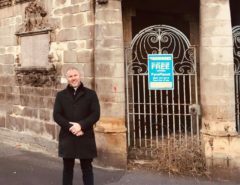 The goal is for new developments to stand alongside our historic sites, without detracting from the beauty and history of our iconic landmarks. There are more attractive ways to develop our city – and that is by looking beyond an award. We, as a city, now have to make a decision: do we keep hold of our UNESCO World Heritage status that celebrates our past or do we take the bold step to lose our status to allow the city to grow significantly, rivalling cities such as Manchester and Leeds? It’s an understatement to say I care very deeply about our city’s historic buildings. I, like many other people who have walked along the Liverpool waterfront, have fallen in love with our architecture. In 2014, I acquired Albion House, which lay derelict for decades, despite the fact it once served as the White Star Line’s headquarters – and so was RMS Titanic’s port of registry. Aware the building was a standing monument to our maritime past, I revived and restored the building to her former glory, creating a Titanic-themed hotel that allowed the public to experience the beauty and history of the building. I would like to clarify that Signature Living has no current plans to build or develop any properties along the Mercantile Maritime City. 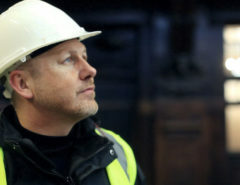 We are only currently developing properties inside existing buildings, with the aim of ensuring our most beautiful buildings do not become subject to disuse and are restored to highlight our city’s remarkable architecture. I do not want unsightly buildings to line our landscape any more than you. I truly believe we can create modern developments that complement the history and beauty of our great city – which will not only propel us into the future, but will create further job opportunities for residents and can help us take control of the city’s future. It is possible to celebrate our past without stifling our future. The decision is in our hands. We need Liverpudlians to speak up for the city – whether that’s to maintain the World Heritage status that celebrates our distinct past or to free the city from the shackles of the accolade so we can grow exponentially. A great, provocative piece this Lawrence. I’d love to meet to discuss how we can COLlaborate to move our city forward. Have you got a spar hour in the coming fortnight? So right we need the waterfront to be the citys main asset for encouraging tourism , look at all the great seaports ,they have wonderful skyscrapers on their waterfronts,which look equally beautiful day or night,we have wonderful buildings as well but not enough quality tall buildings . Other cities drool at what Liverpool has in awaiting infrastructure. It can even have a comprehensive metro if the 1970s plan is completed. Liverpool has been and is squandering an opportunity to create an Amsterdam for Britain. The recent filling of Wellington Dock, in a WHS buffer zone, shows the lack of vision of the city and disregard of Peel, who are primarily a ‘land’ company. Peel create lucrative land. The granite rimmed docks are still there, even Clarence Dock in which most emigrants departed for the New World. They can be reinstated and a Amsterdam created. A city intertwined with water. On the south docks large shed buildings have been constructed destroying a waterscape with amazing potential. Peel can fill in the commercial docks with impunity. They cannot be stopped as the attempt to stop the filling of Bidston Dock proved. The filled in Bidston Dock is just vacant land – but gains in value for the long term. When trade turns from China as the world’s manufacturing country back home, the commercial berths will be needed. World production can turn back to the west as fast as it went to the east. The city needs to campaign to change laws to give the city the power to stop this destruction of the city’s heritage and future. Liverpool has been abysmal in realising the massive potential to project the city to a world renowned city using the amazing legacy of previous centuries. Delighted we have somebody who cares about developing and improving our city enough to make a real difference.